Through the window of the plane I could see the illuminated sign above the terminal: Helsinki Airport. My heart swelled, I’d returned to the city that had stolen my heart a year previous. I had a block of free time at the beginning of the year so I’d booked a one way flight to Finland, there was no other place I wanted to go. I planned on staying for a month, I ended up staying five weeks: five amazing weeks! The flight landed in the late afternoon of Monday 4th January, I stepped out into a frozen beautiful land, completely transformed by winter since my first visit. This trip wasn’t so much about sightseeing as such, it was about seeing friends, immersing myself somewhat into Finnish culture, and the language of course. I just wanted to be back in Finland! 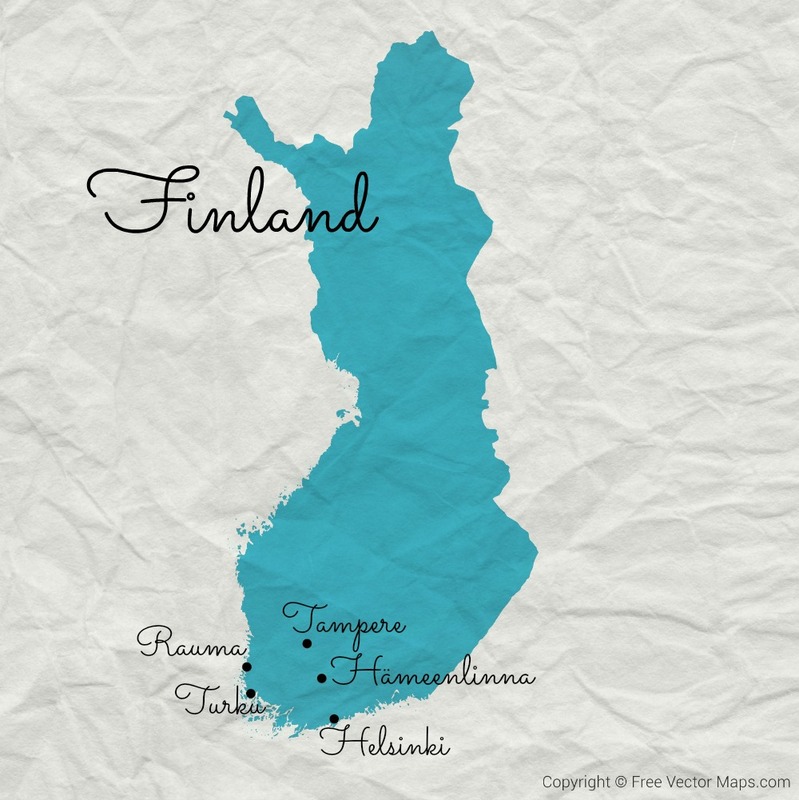 In the five weeks I visited five places: Helsinki, Turku, Hämeenlinna, Tampere, and Rauma. 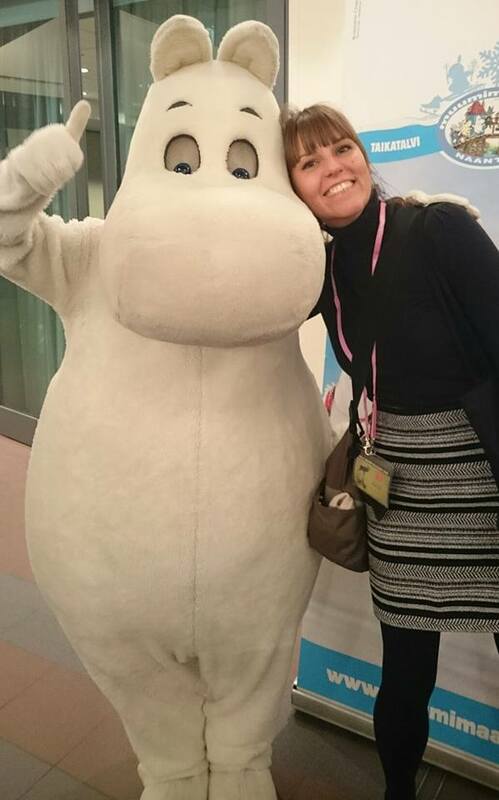 Most of the time I was in Helsinki, I just couldn’t seem to tear myself away! I’d timed my visit around attending the Nordic Bloggers’ Experience in Helsinki, and also to catch up with a friend. Quite a few Finns I spoke to told me I was visiting at the wrong time: “Come back in the summer!”. I had to disagree, I’d come at the perfect time: it was just so gorgeous and not a day went by that I didn’t find myself happy! I’m thinking of making this an annual event, British winter is so grey by comparison! 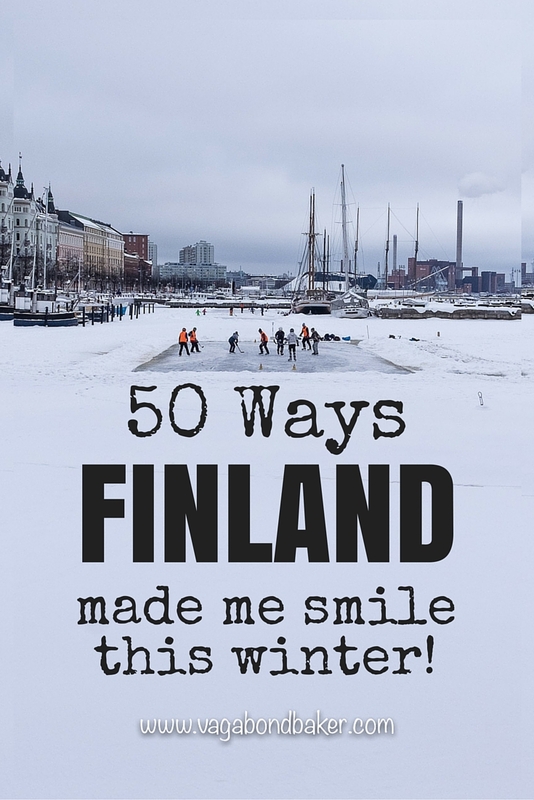 50 Ways Finland Made Me Smile This Winter. 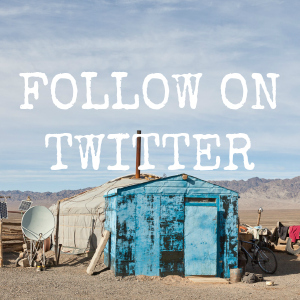 This isn’t a list of epic adventures, husky safaris and touristy things, these are my personal joys, the little things! 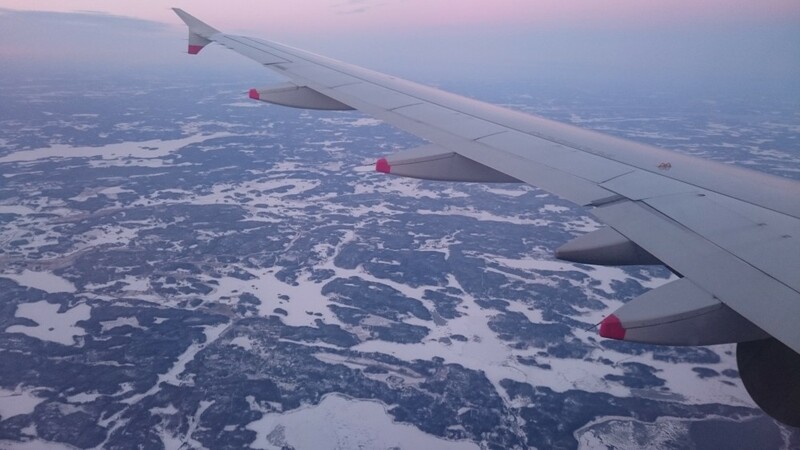 Seeing Finland from the air. I’d arrived and departed by ferry on my previous trip. It was great to see it from above! Crunching through compacted frozen snow on the platform after arriving into Helsinki Station on the new train from the airport. I’d arrived into a proper winter! Seeing these handsome men again! 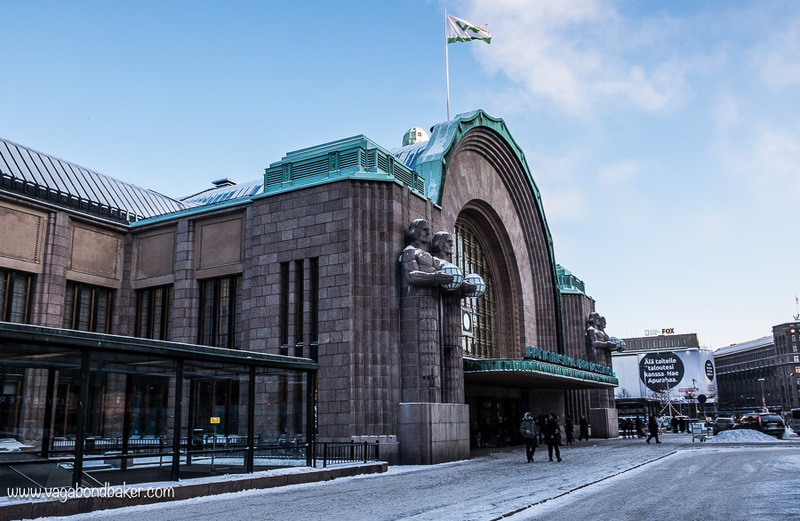 The stone men standing tall outside Helsinki Central Station always put a smile on my face. 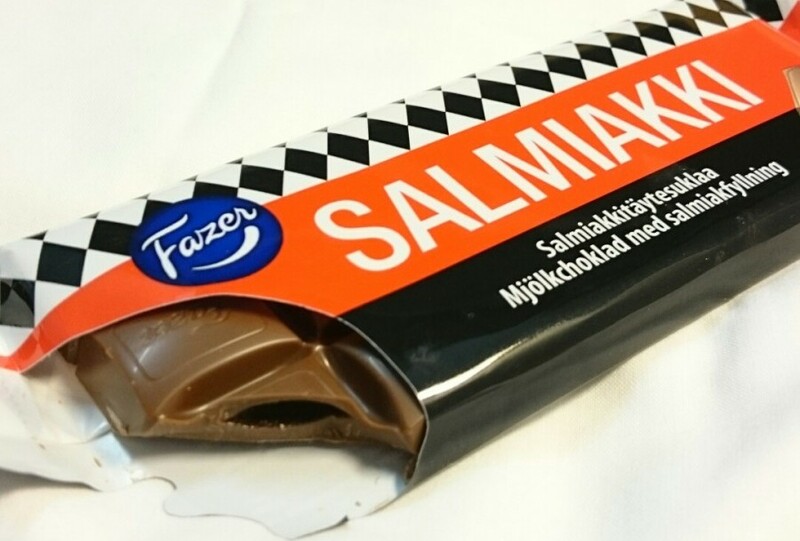 Fazer’s Salmiakki chocolate bar. Milk chocolate with a liquid salmiakki filling: where have you been all my life? 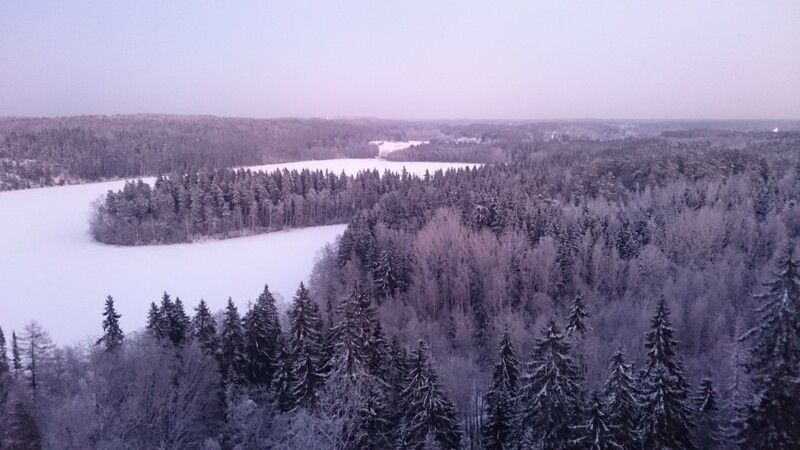 My first frozen morning in Helsinki: -22ºC is so beautiful! It completely took my breath away. I will never forget that golden sunrise: there was an ethereal mist that danced over the harbour. It is one of the most magical mornings I’ve ever experienced. Having my first sauna of the trip: oh I’d forgotten how amazing and alive sauna makes you feel! Every subsequent sauna after it, of which there were many. In particular the saunas I had with friends, in their homes. I really wish we had a sauna culture here in the UK. I can’t tell you how much I miss Finnish sauna, if I had a house I would definitely build one. Simply seeing Helsinki blanketed in snow. It is just so pretty! Frozen eye lashes! This was something I never considered. I looked like a 90’s throwback with silver mascara, that is until the ice melted and streaked mascara down my rosy cheeks, then I looked more like Alice Cooper! Discovering neon people from the past on a side street in the Tori District. 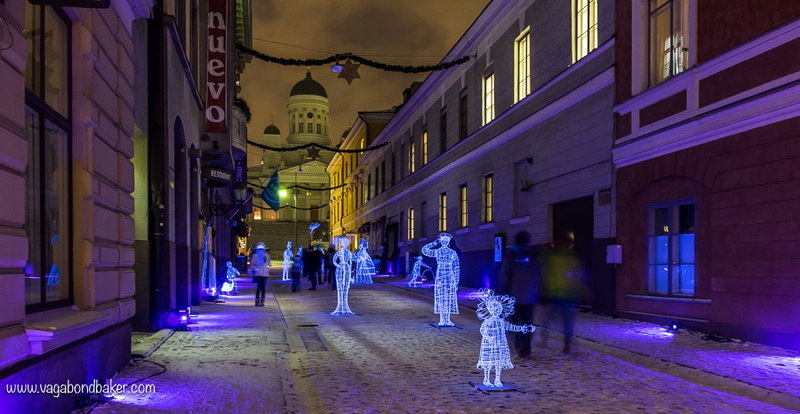 They were a light art installation for Lux Helsinki, which transformed Helsinki for a few days with colour and light. 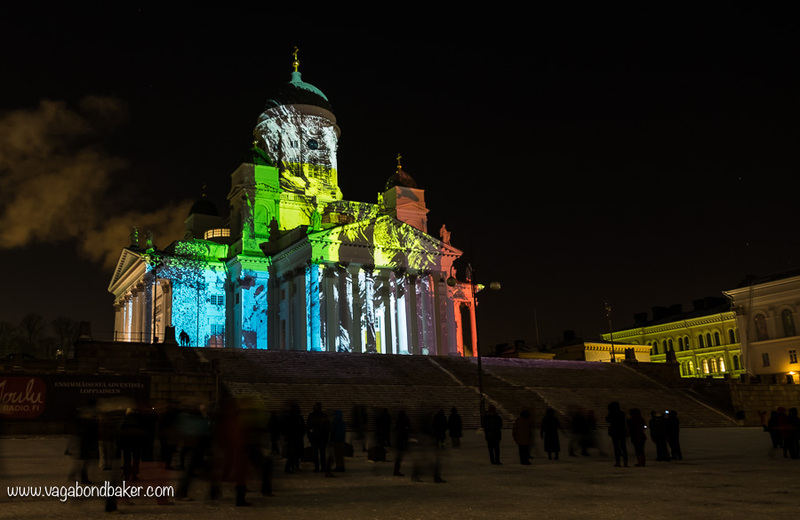 Seeing Helsinki Cathedral painted with colour for Lux Helsinki. Meeting up with my amazing Finnish friend who I haven’t seen since April 2014 and his awesomely fact-less tour of his home town! Who needs facts anyway? If the view is pretty that’s all I need! Eating a delicious blini at Ravintola Piparkakkutalo in Hämeenlinna. I don’t eat out in nice restaurants like Ravintola Piparkakkutalo that often, this was a real treat! Seeing Call It Home blogger Kati’s beautiful home, and her gorgeous wallpaper! Watching Ben and Holly’s Little Kingdom in Finnish with Kati’s little son Hugo. Cooking vegetarian nakit (sausages), speared onto long forks, over my friend Tiina’s fire in her cosy downstairs snug. They made the perfect post sauna meal. Going tobogganing with Satu and Tiina in Tampere. I don’t think I’ve ever tobogganed before, it was great fun! 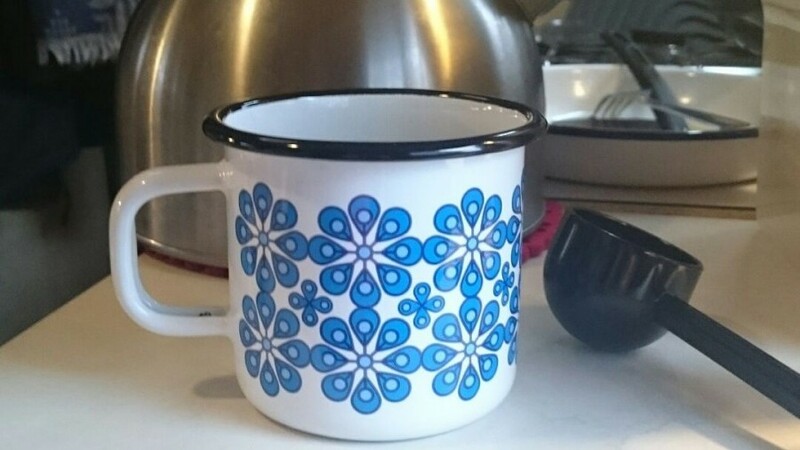 My new enamel Muurla mugs. They’ve added a splash of retro Finnish design to my truck camper! Going for afternoon coffee in a cute vintage cafe that turned into an evening of beer drinking in Tampere. Never paying more than 9.50€ for any journey I took between the cities and towns I visited after learning about Onnibus through a friend. If you’ve read this blog for a while you’ll know I’m a huge fan of rail travel, but I have to say these budget buses are great value for money and they’re comfortable. They saved me a packet, meaning I could stay an extra week longer in Finland with my budget! 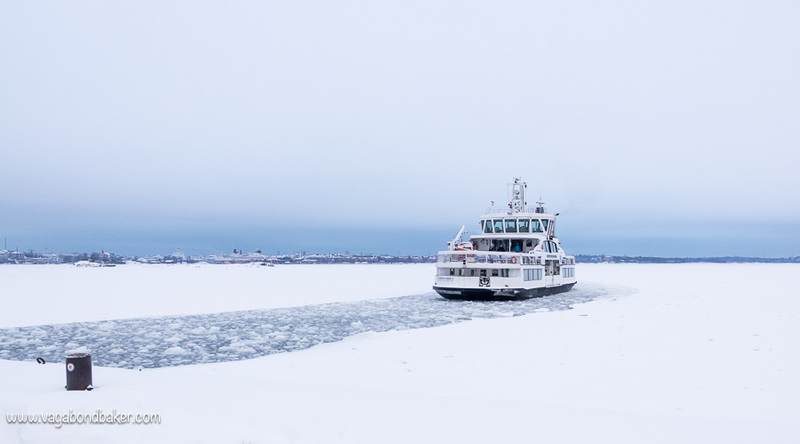 Taking the ferry to Suomenlinna through the ice-topped sea. The broken up chunks of ice in the narrow channel knocked against the hull of the boat: it felt like a real winter adventure! Reliving potent memories on the ramparts of Suomenlinna: the view, the place, my heart. I’d stood on this spot a year ago when I’d realised that I’d fallen in love with Helsinki, with Finland and with the Finnish language. Buying souvenirs! I couldn’t resist two beautiful prints of Finnish nature (of a bear and a Saimaa Ringed Seal) in the Suomenlinna Museum. Unfortunately I have no idea where I’m going to hang them, they are far to big for my truck camper. But hey, look how happy I am with my purchases! I posted them back to Scotland, which thinking about it, they haven’t arrived yet, hmmm…. 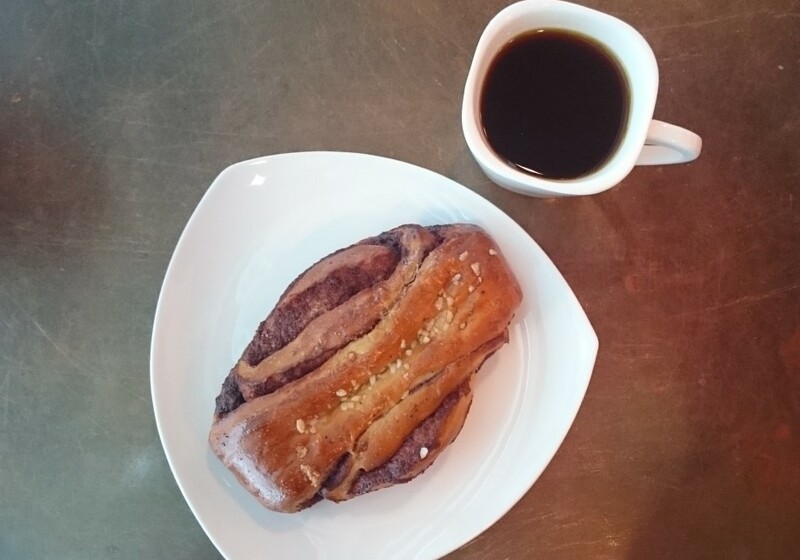 Korvapuusti and coffee. Every time. 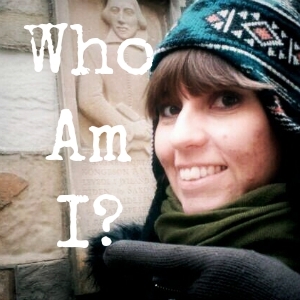 That time the hostel receptionist thought I was Finnish because of my perfectly pronounced “Kiitos” (thank you). For me, learning Finnish, it’s all about these little victories! 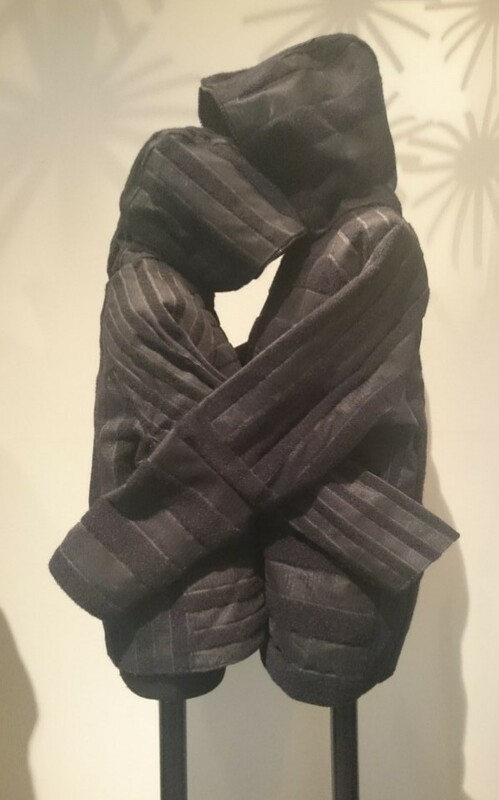 The Finnish designed velcro ‘Jacket For Lonely People’ (Takkiainen) spotted in the Design Museum. How adorable is this! Watching some guys playing ice hockey out on the frozen North Harbour on Saturday afternoon in Helsinki. Fun to watch and with such a great backdrop! 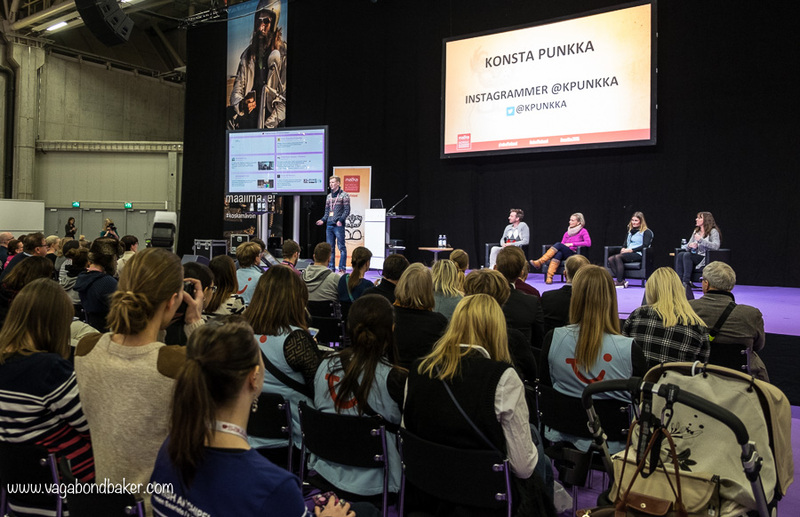 And hearing the Instagram legend Konsta Punkka speak at the Matka Travel Fair. So inspiring, if you haven’t checked out his Instagram you should! His wildlife and outdoor photographs are astounding! Hearing Finnish being spoken. I could listen to it forever! Did I really stalk behind the Finnish tourists – who’d been on my flight from Helsinki to London – through Victoria Train Station to the tube just so I could hear them speak? Yes, I did that. Hearing stories about Sulo, the Bearman of Finland from a guy I met in the Suomenlinna Hostel who apparently knows him: “He is very special man”. You can read more about Sulo on the Visit Finland website. 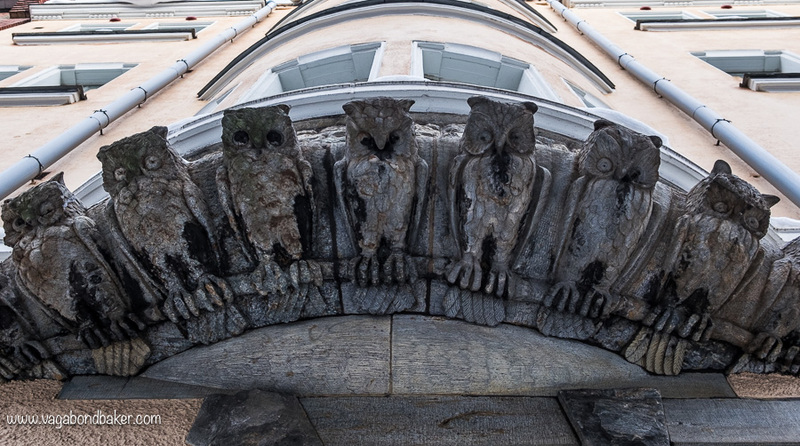 These owls on a building in Katajanokka. Don’t forget to gaze up sometimes! Wandering around Katajanokka in the sunshine. 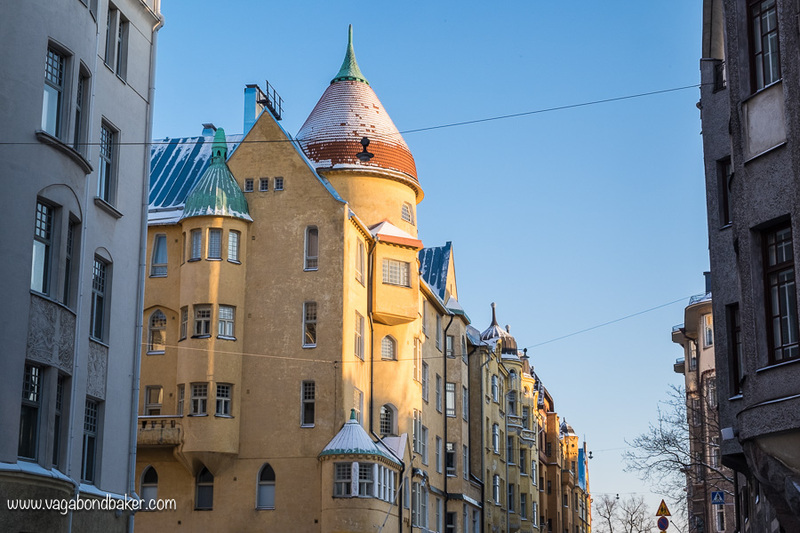 I love this corner of Helsinki, the buildings have a fairytale look about them. 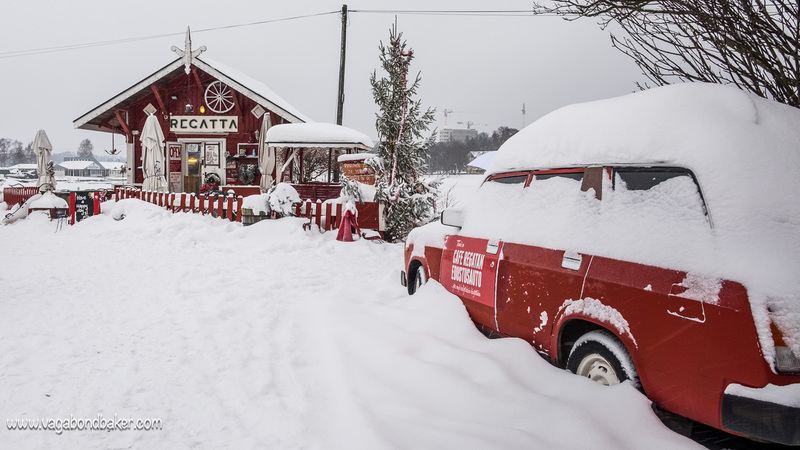 If I dream of living in Helsinki then this is where I’d dream of! The man who took a dip in the frozen harbour in just swim shorts while I was suitably wrapped up for -25ºc! The squeaky sound of walking on the compacted snow. I came to love this sound and I really miss it now that I’m back in milder climes. Sometimes it’s the most insignificant things that bring the most joy. 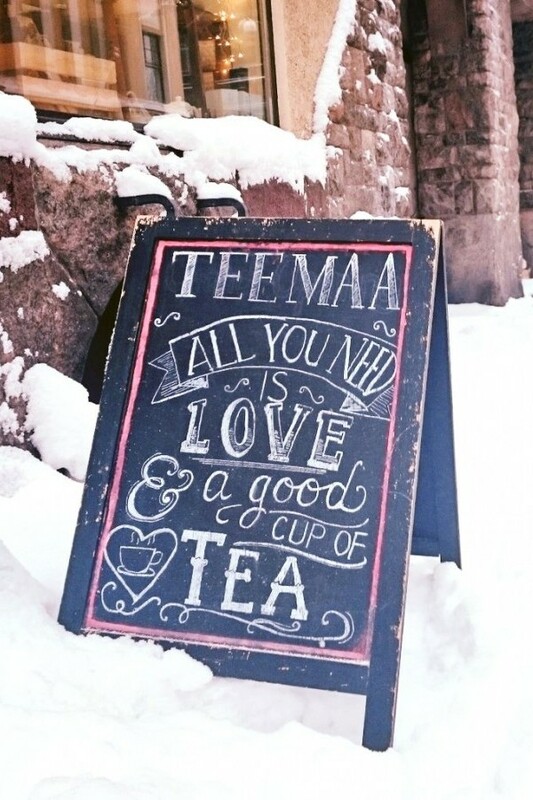 A tea shop sign in Helsinki: All you need is love and a good cup of tea. I couldn’t agree more! 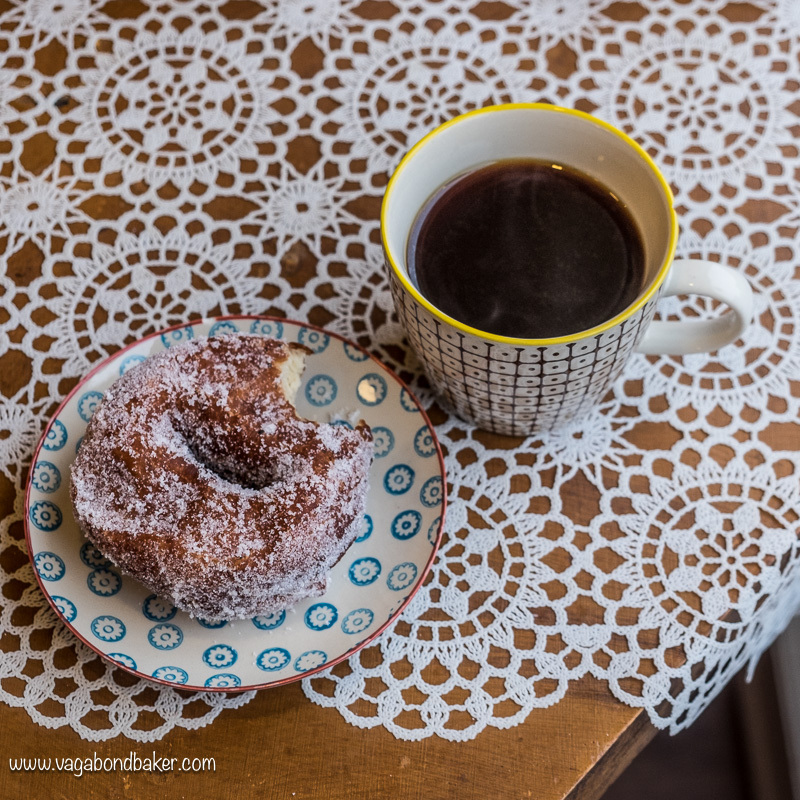 Retreating from some wild weather into a cute cafe in Rauma for coffee and munkki (cardamom spiced Finnish doughnuts) with blogger Saana (Live Now Dream Later). I love Finnish doughnuts! Laskiaispulla (Shrove buns). Hurrah, it’s Semlor season! In Finland – where they are known as laskiaispulla – these springtime buns are filled with either jam or almond paste, I even saw them filled with Nutella in Rauma! I may have eaten rather a lot of these buns – with their various fillings–, in the interest of baking research of course! 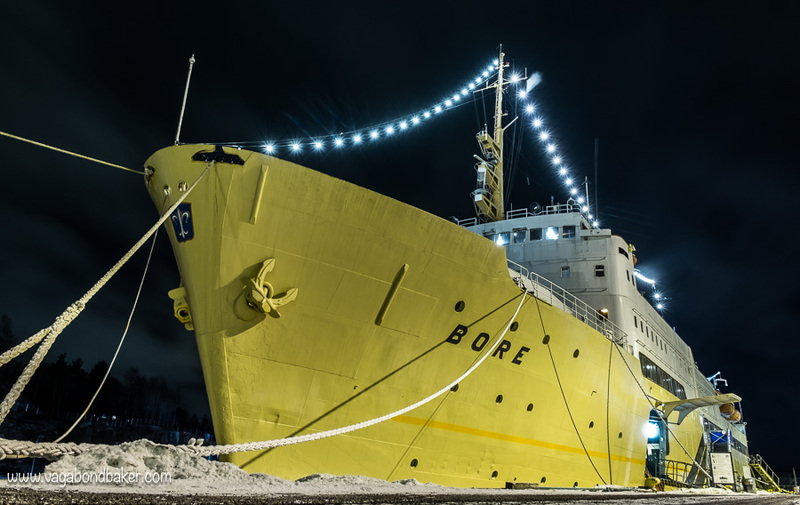 Having a room with a porthole, on the MS Bore, a cruise ship that’s now a hostel in Turku. In its heyday this ship took Finnish passengers as far a’sea as Egypt, it even visited Shetland under its later name Kristina Regina! 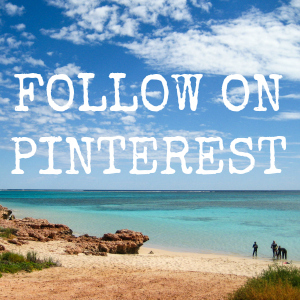 Budget accommodation doesn’t have to be boring! 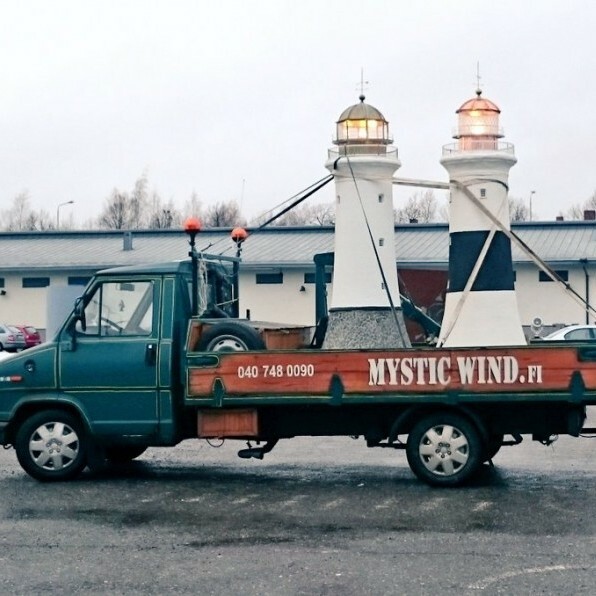 Lighthouses on the back of a truck. That were alight! I wonder where they were off to. 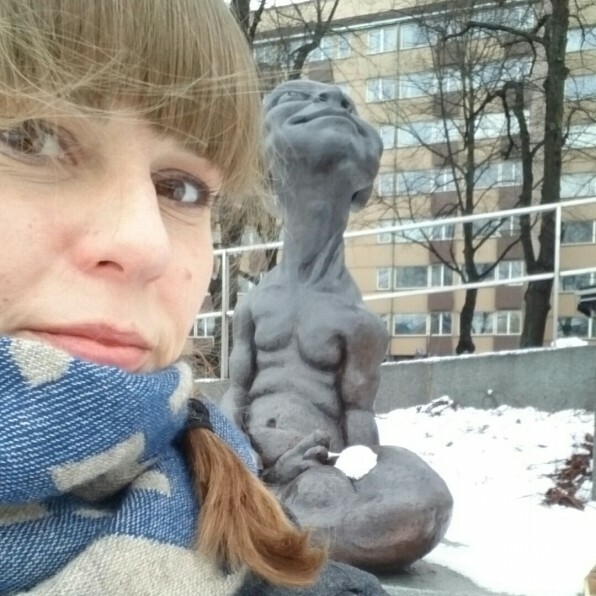 Looking up at the stars with a curious character on the River Aura in Turku. Valo, light. I’d had one of those days where things just don’t seem to make you smile or go your way. 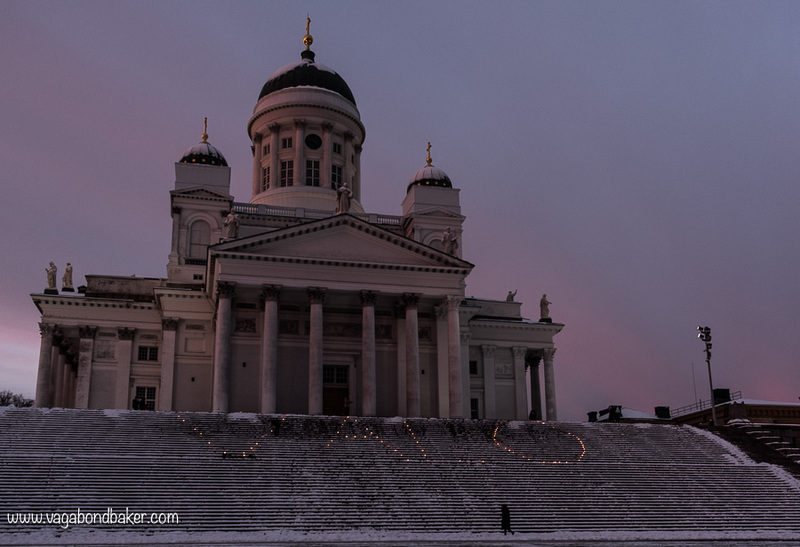 Helsinki decided to cheer me up in the most lovely way with candles on the steps of the cathedral. 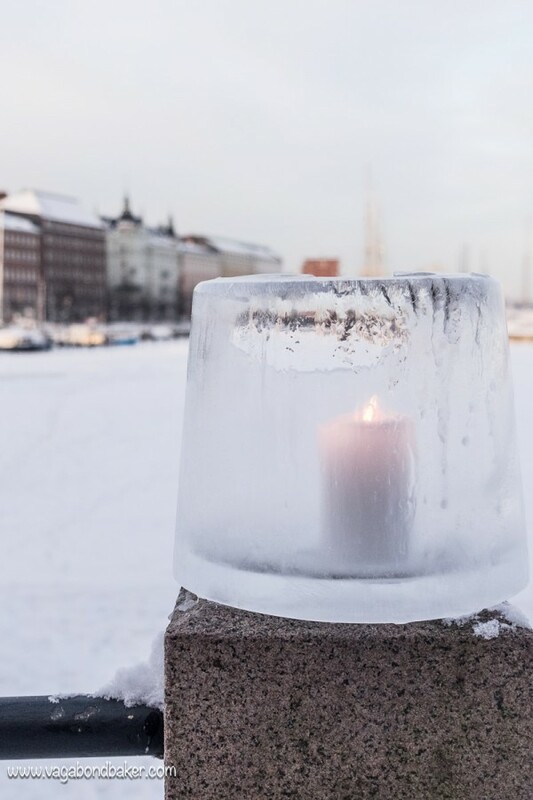 Valo means light in Finnish, and these candles were a quiet demonstration to highlight human trafficking. Not only was it beautiful, it was sobering, making me realise my bad day was nothing. 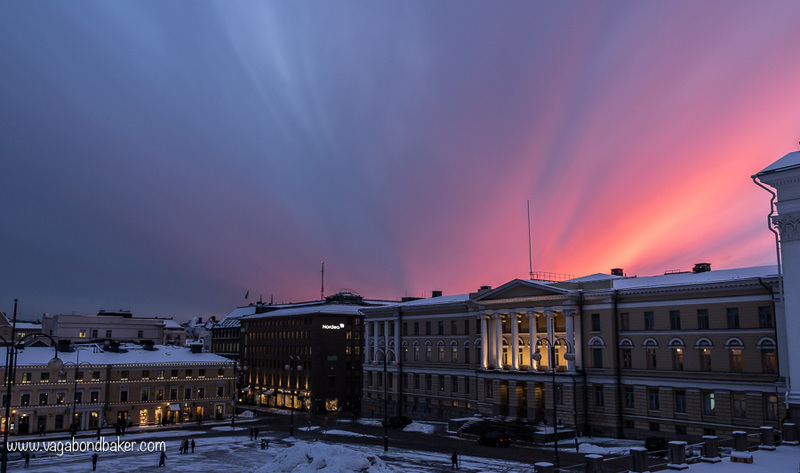 Sharing this incredible sunset with a friendly Finnish stranger on the steps of Helsinki Cathedral. The winter sky can be so stunning, with extraordinary colours. On this particular evening the sunset seemed to fan out across the sky, I’d never seen anything like it before, and how nice it was to share this magical moment with someone. So often as a solo traveller on this trip these memorable moments have been experienced alone. 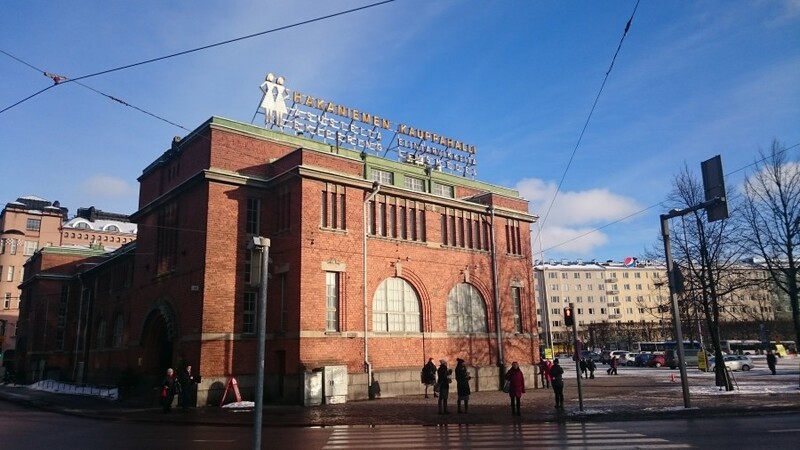 Finland’s market halls: they are so atmospheric, packed with produce, and a great place for a coffee. Seeing the Finnish flag flying all over Helsinki on Runeberg Day (5th February) in celebration of Finland’s National Poet, and also eating a Runeberg Cake! It was a particular joy to see the flag flying on the railway station in place of the usual green VR flag. Reading Ilta-Sanomat (newspaper) in the cosy surroundings of Regatta Cafe in Helsinki with a cup of coffee. There was a great article about where to find the best Laskiaispulla (see #40) in the city, and I managed to understand a lot of the Finnish text! A gorgeous location and another little Finnish language victory for me. Hearing the icy sea tinkle and sing as the fragile and fragmented surface undulated with gentle waves. It was one of those moments when I’d thought winter couldn’t get any more magical, and then this happened! Every person that I met in Finland: old friends, new friends, and strangers. 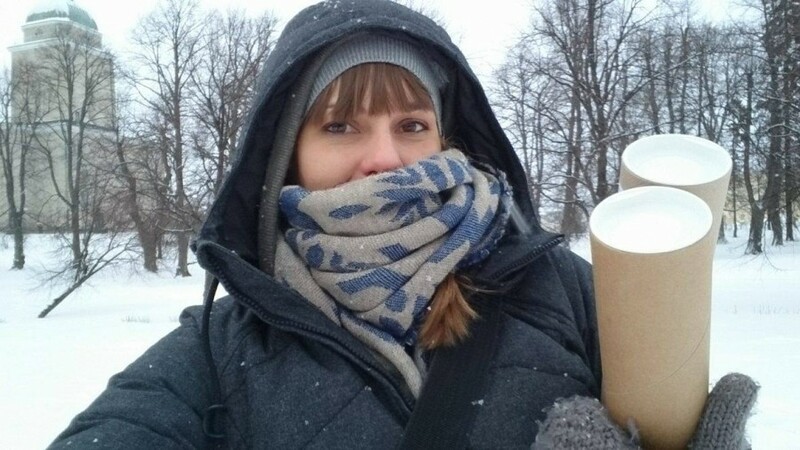 From friendly interactions with locals in cafes to saunas with my friends, you – wonderful people – were the real reason for my smiles, you made Finland the warm and welcoming place that it is to me. Kiitos! Just being in Finland made me happy, made me smile. 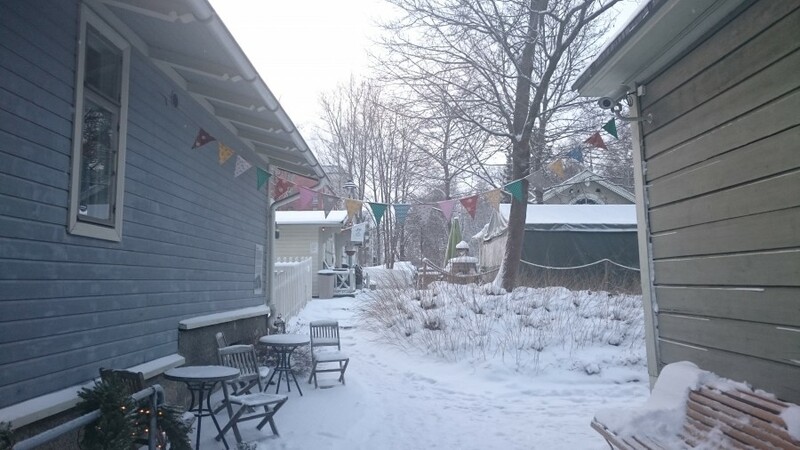 Oh Rauma, You Must Be So Pretty In The Summer! Even in bad weather I could see Rauma’s charm. What has made you smile this winter? Matkustamme suomeen huhtikuussa. Helsinkiin sitten Leviin sitten Kempeleseen sitten Helsinkiin uudelleen! Moikka Chris! That sounds amazing! Me ajamme Norjaan toukokuusaa, sitten Suomeen kesäkuussa. I can’t wait to see Finland in the summer! Well you have got me interested in discovering Finland! We are taking the Trans-Mongolian (I’m reading your blogs on this for tips :-)) next year and we wanted to take the train from St Petersburg to Helsinki then ferry to Estonia.. I shall pick your brains nearer the time for things to see and do in Finland! Awesome Jayne! Yes, take the train to Helsinki and I’ll tell you what to do! What sort of time of the year will you be there? OK! 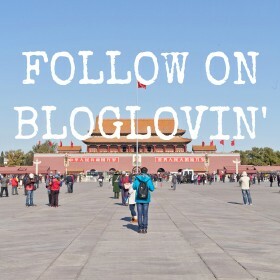 We will be there this summer in June and July so keep your eyes peeled on this for inspiration! Thanks Keri! Finland truly is an amazing place and I’m deeply in love with it. I fell in love with it before I had even set foot there, through a friend. I knew it was the place for me! Rachel, I love this post! I’ve never been to any of the Scandinavian countries, and you’re convincing me to amend this immediately! 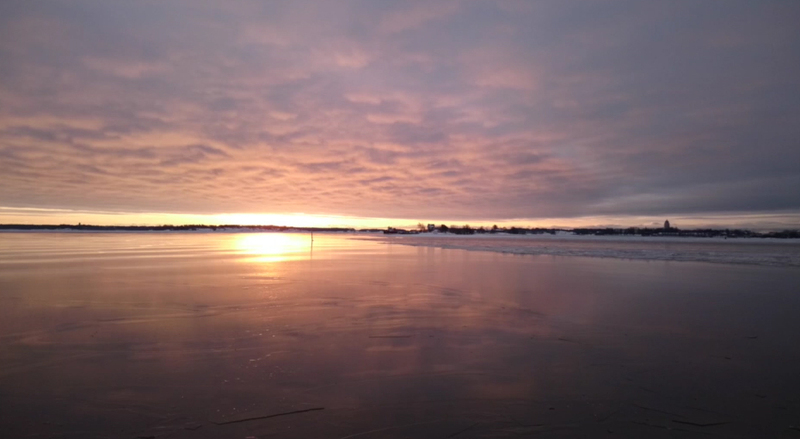 Finland looks beautiful – even in the frostiest of winters! Wonderful post! I smiled all the way through it 🙂 So glad to hear you loved Finnish winter! 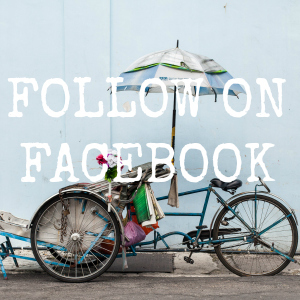 Join the team!